Female-fronted platform SelfMade discuss mental health and music at upcoming event! Irish organisation SelfMade will be running the Mind YourSelf: Mental Health and Music event onSaturday 25th May 2019, sponsored by IMRO. Taking place at The Tara Building, Dublin, the two-part event will look at mental health in the Irish music scene and the challenges affecting developing musicians in their professional and personal lives. Founders Joanna Bain and Julie Hawk elaborate, “there has been a huge step-up in the level of conversation on mental health in recent years and we’re proud to use our next event to encourage conversation and facilitate a route to a healthier music industry.” The event will start with an interactive workshop - focusing on how musicians can work with their inner critic - led by psychotherapist, musician, researcher and BIMM lecturer, Aoife Ruth, in collaboration with Wyvern Lingo’s Caoimhe Barry. The evening panel will feature a line-up of Irish artists including Maria Kelly,Michael Pope (Le Galaxie) and Paddy Hanna, who have all used their creative work and social platforms to highlight mental health and anxiety. A discussion and Q&A will be led by music journalist and activist, Louise Bruton, and the panel will be opened and closed with live performances. XY&O share synth-pop banger Like A Promise! With over 40 million Spotify streams and a number of notable festival appearances, includingGlastonbury, welsh haze-pop trio XY&O return with their latest single, Like A Promise, out now viaElectric MVM. On Like A Promise, XY&O continue to develop their trademark soundscapes; silky smooth segments create a dream-like groove that bursts from the speakers like a sonic rainbow. Further complimented bySkip Curtis’ vivid vocals range, catchy choruses and synth-pop sounds, Like A Promise is another hook-laden banger from a band who’s reputation grows with each and every release. Stream Like A Promise on Spotify, Apple Music and Soundcloud now. Sive weaves a relatable tale on new single Do It All The Time! Ahead of the release of her self-titled EP, alt-folk songstress Sive - aka Sadhbh O’Sullivan - prepares to enchant listeners with her forthcoming single Do It All The Time, out now via Veta Records. The single addresses the emotive subject of how difficult it can be to speak out or to bare your weaknesses. It manages to capture the frustrations that can arise when you lie about your feelings by reflecting its poignant lyricism in its intricate musicality, creating a sound that is both atmospheric and whimsical. Sive’s silk smooth vocal soars effortlessly throughout, sounding akin to the likes of Feist or Laura Marling. Idlewild share off-kilter new single Same Things Twice! 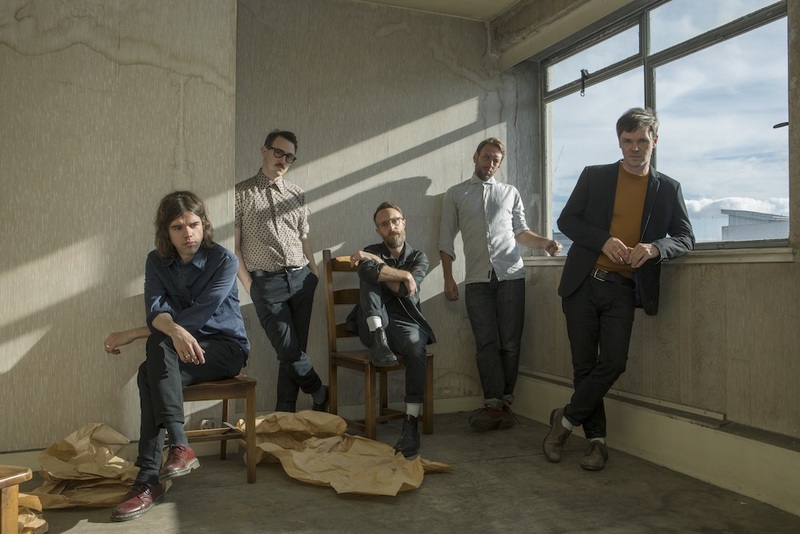 Following on from their recent album announcement, the eagerly anticipated Interview Music,Idlewild have unveiled their second single, Same Things Twice. Same Things Twice takes on the fire of heavier highlights like classic tracks ‘A Modern Way Of Letting Go’ or ‘Little Discourage’, but carries it with a more mature grace as Idlewild continue to develop their sound with each passing year. Watch the video for Same Things Twice exclusively on NME. Same Things Twice is the follow up to debut single ‘Dream Variations’ which was first aired on Shaun Keaveny’s BBC Radio 6 show and has since been championed by the likes of 6 Music’s Steve Lamacq,BBC Radio Scotland's Vic Galloway and Janice Forsyth, and NME, Clash Magazine, The Line of Best Fit, Under The Radar, Gigwise and many more. With a UK wide tour confirmed and a their eighth studio album due for release on 5th April, Idlewild will be aiming to leave an indelible mark on 2019. Interview Music is out on 5th April. Pre-order the album here. RUNAH enchants further with new single Shame! Ahead of the release of her debut album Strange, out on 5th May 2019 via Beardfire, Irish singer-songwriter RUNAH has now shared her enchanting new single Shame, out now. Talking about the track, Runah explains, "its based on the changeable feminine divine being painted as shameful, but also how shame is constantly perpetuated in society." Using sacred stones, elements and other spiritual resources to create her work, RUNAH produces a body of stories surrounding both the physical and spiritual realm; creating an almost divine sound in the process. Stream Shame on Spotify, Apple Music and Soundcloud.